We are a Veteran Owned company that takes pride in accomplishing the mission at hand. We have a great reputation & can provide references & pictures of our work. If you can dream it, we can build it. 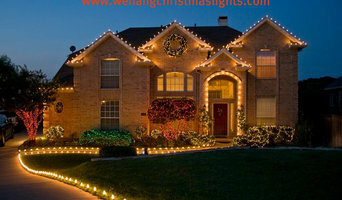 At Lawn Pros Colorado Springs, we specialize in Lawn care, Aeration, Sprinkler Repair/Install Colorado Springs and Christmas Lights Installation Sprinkler repair is our primary irrigation service. 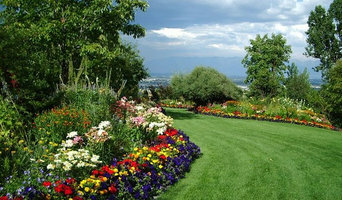 Call Kary at Diamond Landscapes for all your Colorado Landscaping needs! No job is too big! We are a full service landscape & outdoor living design & build contractor. We have a combined 75+ years of experience in the Colorado market place. We do not charge our clients a premium based on their zip codes. Our price is our price regardless of your address. I am the best landscape contractor in the Parker, CO area. Please contact us for all your landscaping needs! The Landscaping Company Inc. is a full service landscape Design and Construction Company servicing the greater Denver metro area. Grade Line, Inc is a local, family owned and operated company, proudly serving the Colorado Springs, Castle Rock, Monument, Pueblo areas since 2008. 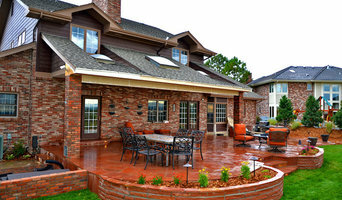 We here at Grade Line take great pride in the work we produce, and enjoy helping others in our community create unique, one of a kind, outdoor living spaces above and beyond the typical "cookie cutter" look. We are a diverse business and strive to be your one-stop-shop for all your exterior needs! We offer free estimates and can help design the look you have always dreamed of. 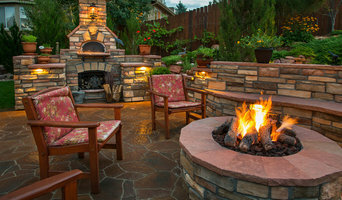 We have created beautiful fire pits with seating walls, custom sand boxes, basketball courts, along with many other individually tailored designs for both new and existing landscapes. We are members of the BBB with an A rating, can be found on Angie's List, are licensed, insured, and are a preferred landscaper for several of the large home builders in the area. Whether needing a retaining wall or drainage improvements to protect your home from flooding, or just wanting to change the look of your curb appeal, we can help! There is no project too big or too small, so if you would like some assistance or need some help, give us a call. 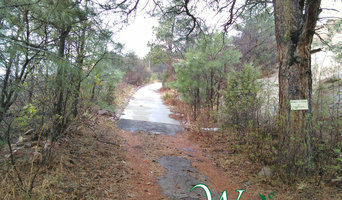 Again, we offer free estimates and would be happy to take a look at your project needs. We thank you for taking time to visit our web page, and to schedule an estimate or if you have any questions, please call our office.